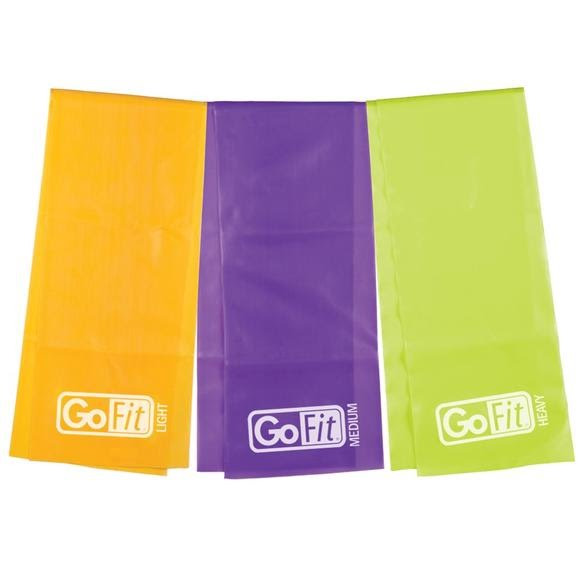 The GoFit Latex Free Flat Band Kit consists of 3 flat bands and training manual. Durable, latex-free bands for versatile and effective resistance training to tone and shape your entire body. Perfect for rehab; ideal for pre-game or pre-activity warm up, and stretching.